Direct bookings are great! You don’t have to give up your revenue to a middleman, you can build a stronger relationship with your customer, and you can provide much better customer service. Yes, it might seem counterintuitive to spend more time working on your OTA listings. These are still important, though, for getting those initial clients. According to Travel Tripper, between 61%and 75% of customers use OTAs to book their properties. You can tap into this market to find your initial clients, and then use these guests to build more direct bookings. So what can you do to get more initial bookings through OTAs? On its blog, hundredrooms suggests improving the photography for your listing. This will make your property more visually appealing. Pictures are the most effective advertisement for your property, so make sure you invest in great photography. You should also make sure the written content is as descriptive as possible. 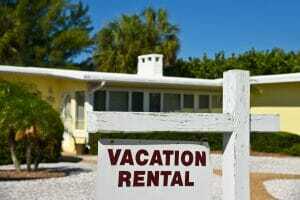 Mention all of the perks of booking your rental. Write a little bit about the local area and make sure to include aspects of existing customer feedback. By including this info from the feedback, you are tapping directly into what made your previous guests love your rental. You can also better target niche audiences. Do you allow dogs? Make sure you write about it on your website. Dog owners can have a rough time looking for suitable properties in any area, and yours is sure to stand out if you have been explicit about your policy of allowing pets. You can also use this information to market more directly to your ideal customers and cut out the OTAs. It is surprising how many dog-owning holidaymaker groups there are on Facebook. Join them, interact and let them know about your dog-friendly villa with an awesome pool. This is likely the most effective way of getting direct bookings. Whenever someone books through an OTA, or even directly, you should be capturing their basic info – email address, preferences and details of their stay. Schofield’s also suggests capturing this information from website visitors. There are a number of tools available – especially if you use WordPress – to make this data capture process easier but make sure you frequently check over the data. Once you have this info, you can remarket to them using email and social media. Just make you only use data that the guest gives out voluntarily so it doesn’t seem creepy. Email newsletters are a great way to entice previous guests into considering a second trip. You can also consider special subscriber perks such as discounts and free wine if they book via the email link. Anyone that leaves their email address on your website should be contacted within a day or so. They may be mulling over where to book, so prepare a short email to invite them back to your site. This can be a simple reminder of what makes your property great. You can also offer perks. Again, only do this if they have voluntarily given their email address. This is a tried and tested method for getting rebookings. Everyone from Costa Coffee to Subway has been doing it for years in the food business, and it is becoming increasingly common in the world of vacation rentals. Loyalty perks can come in a variety of ways. The most obvious perk is to offer a discount to returning guests. This can be done through the email marketing system, or it can be done directly when they leave your property. Schofield’s suggests that you can also extend this discount to friends and family. It’s already great if your guests are raving about your property to friends when they get home. Offering a discount for these additional guests will only sweeten the deal. You can also offer more personalised perks. Many hotel chains offer a “surprise and delight” incentive to recurring guests. This is where staff are encouraged to give personalised treats to loyal customers. You can keep the information in your data capture database about each customer. If a loyal customer always talks about how much they love the local brand of sweets, leave a bag on their pillow next time they stay. Do they always bring their dog? Leave a new dog toy in the room for them. These personalised perks will show the guest you care about them – encouraging more direct bookings. If you want to gain access to a new audience that you might not be getting to through OTAs and remarketing, digital marketing can be a great way to do this. As already mentioned, Facebook Groups are a great tool for doing this as it lets you reach out to a specific niche of people. You can also work on your use of hashtags on Instagram. SEO is an important concept for getting more website visits. If you’re using WordPress there are plenty of plug-ins to help you with this. If you are truly stuck, consider hiring a professional. There is a bit of trial and error involved, but once it works you will notice massive increases in people looking at your website. Finally, Schofield’s also suggested looking into paid advertising. To boost your SEO efforts you can advertise on AdWords to get your ad seen in the right places. You can advertise on Google itself, or you can advertise on any of the websites in their network. Many bloggers add AdWords to their sites to make some cash, and you can target your AdWords ads to the only feature on the right kind of blogs. Do some audience research before committing to a budget. Facebook Advertising is the easiest and quickest method of gaining new potential customers. You can narrow down your audience to only reach people likely to book. This also takes some research, however, you can upload remarketing list information to Facebook to make the process easier. Facebook has an option where you can choose to only target people who have looked at your website. You can also narrow down by demographics and interests. Of the paid advertising options, this is usually the cheapest if you target well. There are heaps of options out there for upping your chances of direct bookings. These are just some of the simplest tools available for you to use right now. Once you have got these right you can also look into how content creation and non-traditional marketing methods could help you. Give it a go. I’m sure you will notice an increase in bookings. Good luck!